Join Credo at NASPA's 99th Annual Meeting! NASPA is the leading association for the advancement, health, and sustainability of the student affairs profession, and their annual event is not one to miss! 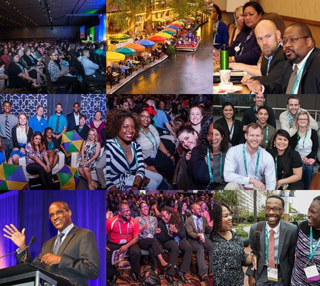 Attending the 2017 NASPA Annual Conference isn't just about incredible educational sessions, there's so much more than that! Prior to, during, and post conference connections and engagement is a must in order to have a well-rounded conference experience. We invite you to make conscious efforts in connecting via technology, networking with your colleagues, volunteering your time, visiting our exhibitors, supporting first-time attendees and helping them to feel welcomed, mentoring a colleague, and performing community service in the conference location."